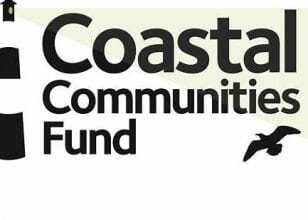 The latest awards in the Coastal Communities Fund include £1.5 million for North Devon District Council, £5 million for Watchet, Somerset-based, the Onion Collective, and £1.2 million for Torridge District Council. The announcement represents 26 awards from the fifth round of the government’s Coastal Communities Fund and 44 awards from the third phase of the Coastal Revival Fund in 2018-19. It comes on top of over £180 million from both funds invested in more than 350 projects so far across the UK. The 26 Coastal Communities Fund projects announced on Saturday 23 March 2019 are forecast collectively to support over 15,000 jobs, and attract up to £40 million in additional investment from public and private sector sources. Awards in the South West region are listed below. Details of all awards made during Round 5 can be viewed at this LINK. o Barnstaple Deep Water Pool – North Devon District Council £1.5 million grant application towards a £14 million project to deliver a competition and learner swimming pool as part of a new multi-million pound leisure centre. The centre will provide new all-weather facilities to be used for lifeguard training to improve the safety of beaches and as an enhanced wet weather attraction for tourists. o Unlocking East Quay – Onion Collective Community Interest Company, Watchet, North Somerset £5 million grant application towards a £10.7 million community-led, mixed use regeneration and social enterprise project in the coastal town of Watchet. This will provide workshop and studio spaces, multi purpose education and project space, a community workshop, boat owner facilities, offices and tourist accommodation. It will use a semi-derelict area of land in responses to recent economic shocks. o The Burrows Centre – Torridge District Council, North Devon £1.2 million grant application towards a £2.17 million project to create a new all year round interpretation centre and activity hub for nature-based tourism in Northam Burrows Country Park to increase visitor numbers and job opportunities. It will also provide business support for exiting and start-up tourism related businesses. o Cornwall WAVE (Augmented & Virtual Experiences) – Cornwall and Isles of Scilly Local Enterprise Partnership £698,000 grant application towards a £768,000 project to support five coastal communities to access new, year- round, higher value tourist markets through the creation of Virtual, Augmented and Immersive heritage experiences and implement community engagement activities. WAVE will benefit local museums and provide digital training for local businesses to attract new visitors to the area. o Trevassack Lake – a National Centre of Excellence providing water sports for all – Helford River Children’s Sailing Trust, Falmouth, Cornwall £1.69 million grant application towards a £2.39 million project to transform the Trevassack Lake – a former quarry – into a centre for inclusive water sports. The aim is to create a National Centre of Excellence in Falmouth for water sports, providing a resource for the local community and visitors. o The Tin Coast – Connecting People with Landscape – National Trust, Cornwall £460,000 grant application towards a £483,000 project to develop Cornwall’s Tin Coast as a year-round destination for walking and exploring heritage. It will deliver visitor hubs and various sites and develop a business-led information network and an integrated transport offer together with improved public realm, signage and public amenities. o Killacourt – Transformation of Events and Market Space – Newquay Town Council, Cornwall £499,700 grant application towards a £1.42 million project to improve access and egress to town centre events space in Newquay, including improvements to local infrastructure to cater for complex events, open air markets and stalls and landscaping work. o The Weymouth Quay Regeneration Project – Weymouth and Portland Borough Council, Dorset £3.79 million grant application towards a £6.86 million project to regenerate the rundown Weymouth Quay by constructing a centre of excellence for business and enterprise. It will include regeneration of part of the harbour, creating new workspaces to safeguard existing and attract new marine business start-ups, and provide accessible public space for the local community and visitors. Further information about the Coastal Communities Fund programme and the awards made to date can be found on the GOV.UK website.